Do you need varistor now ? If you are looking for,I am sure we will be your good choice. We offer competitive prices,good qualities and fast lead time,you may have a try. 1. Wide Operating voltage range. 2. Epoxy resin, flame-retardant to UL94V-0. 3. Terminals: Tinned copper wire. 4. Different lead types. We can make the different lead as your request. 5. Varistor Voltage Tolerance from +-10%, +-15%. Transistor, diode, IC, thyristor or triac semiconductor protection. Surge absorption applications in broadcasting. Surge protection of automatic control devices for power distridution line. If you need, please do not hesitate to contact us. 13D201, 13D216, 13D221, 13D241, 13D251, 13D511, 14D101, etc. 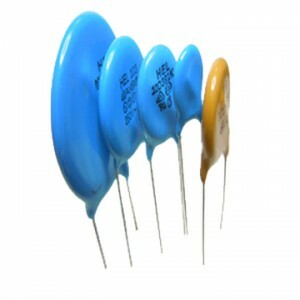 Elecsound can offer below size for Zinc Oxide Varistors. Coating: Epoxy resin, flame-retardant to UL94V-0. 4. Wide Voltage& energy ratio. 5. Low standby power and no follow on current. 6. High performance in surge current handling capability. 7. High performance in clamping voltage characteristics. IC, diode, transistor, thyristor, triac, and other semiconductor protection. Suppression of main borne transients in consumer electronics and industrial electronics. Suppression of internally generated spikes in electronicss circuit. Surget protection in communication, measuring and controller electronics. We are very strong in ZINC OXIDE VARISTOR, we can offer below size with good price. We can make lead free and with many approvals. Surge protection in electronic home appliance, gas and petroleum. With good reputation after almost 10 years, we established stable and good relationship with customers worldwide, such as Ukraine, Russia, Italy, USA, Canada, Germany, Brazil, England, Turkey and so on. We make it easy to get the products you need. Can arrange for samples, manage bank transfers, and arrange fast and safe shipping. Do you need varistor now ? If you are looking for,I am sure we will be your good choice. We offer competitive prices,good qualities and fast lead time,you may have a try. More series and more competitive prices,welcome to inquire.Just an email to me is ok.Thanks.